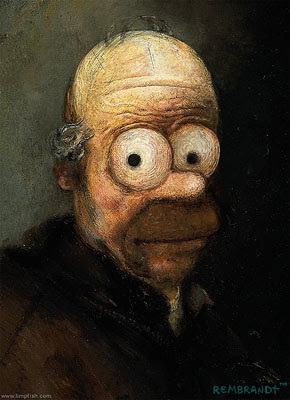 Homer Simpson as if painted by Rembrandt. i think this pic is funny and very good.it looks like it has accttualy been done by rembrandt - very authentic!keep up the good work;-)!! !